App Design & Development - SysNet Solution Inc.
Business software and solutions for iPhone, iPad, BlackBerry & Windows Mobile. Productivity apps, utilities and solutions. Porting web applications to mobile platform. And other iPhone, iPad, BlackBerry and Windows Mobile solutions which will bring boost to your business. Here at SysNet Solution, we understand the complexities of getting it right when it comes to custom Android application development. As your partner, we offer a defined development approach aimed at helping you create the best android app for achieving your goals. We have a team of professionals specializing in Android application development, and working steadily. We offer you multiple services from a simple evaluation to full Android software development projects. SysNet Solution has acquired extensive skills and the background of OS X programming along with the use of underlying frameworks crucial for Android software development and the creation of top notch Android applications. Since the overwhelming demand of tablets and smart phones for the last 5 to 7 years has grown tremendously. This also increased the demand for developing apps for the smart phones which also work seamlessly on the tablet platform. At SysNet Solution we excel in this cross platform development which spans across Apple, Android, and Windows Mobile platform. Possessing all the latest web technology innovations at our fingertips combined with our long-standing experience in application designs and development, allows us to provide you with the right solution for your unique app development. Mobile devices and smart phone applications are increasingly able to reach customers and build relationships between your company and your consumers. In order to build a lasting mobile presence that will meet your business goals, you need a partner with knowledge and experience. 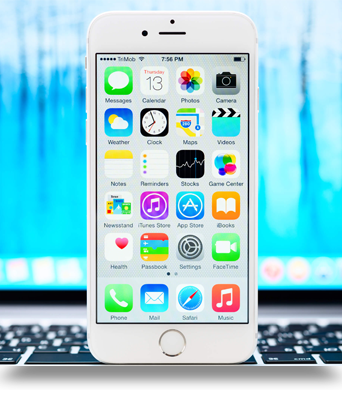 SysNet Solution provides a complete iPhone, Android and Blackberry app development solution, for a small, midsize or large businesses. We have an aggressive team of app designers to fulfill your every need in the world of app development.